The Grizzly Rotovator has a 1400Watt high torque motor with plenty of power. 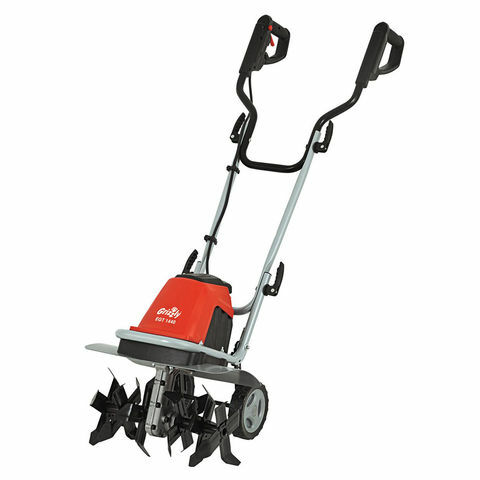 The width is 40cm and the 6 robust specially hardened hoe blades are 22cm in diameter. This cultivator has smooth running, maintenance free 2-stage gear.There are wheels for ease of manoeuvre and a steel protective cover. Handles are designed for maximum comfort and fold away for easy storage.